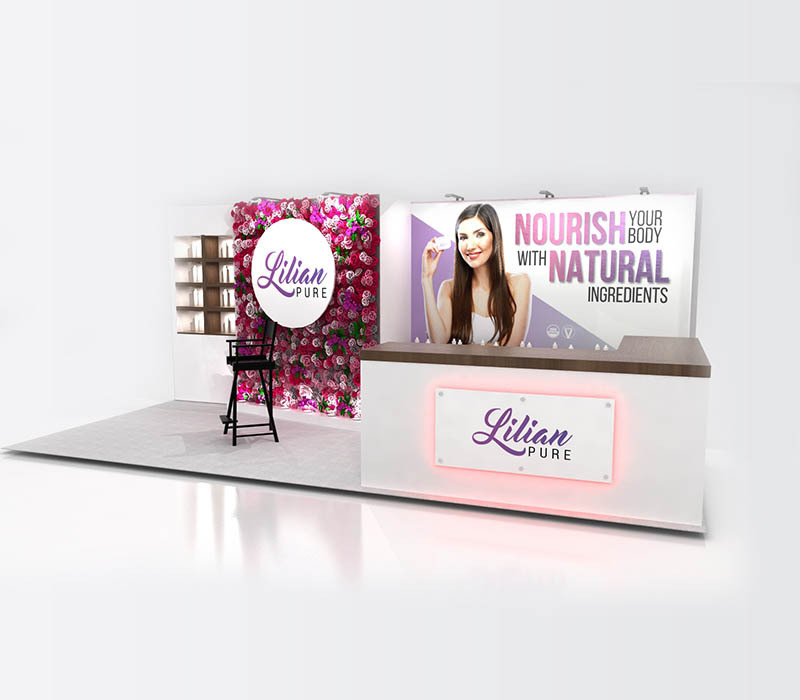 This beautifully designed natural products beauty display can be used for a show like Natural Products Expo West or a cosmetic/beauty trade show. 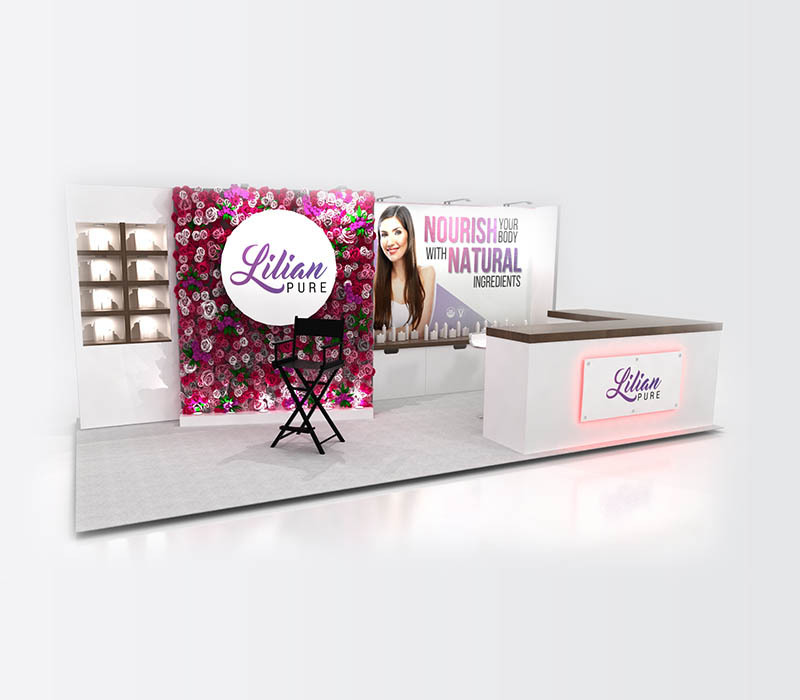 This whimsical design includes custom storage, shelving, and logos. 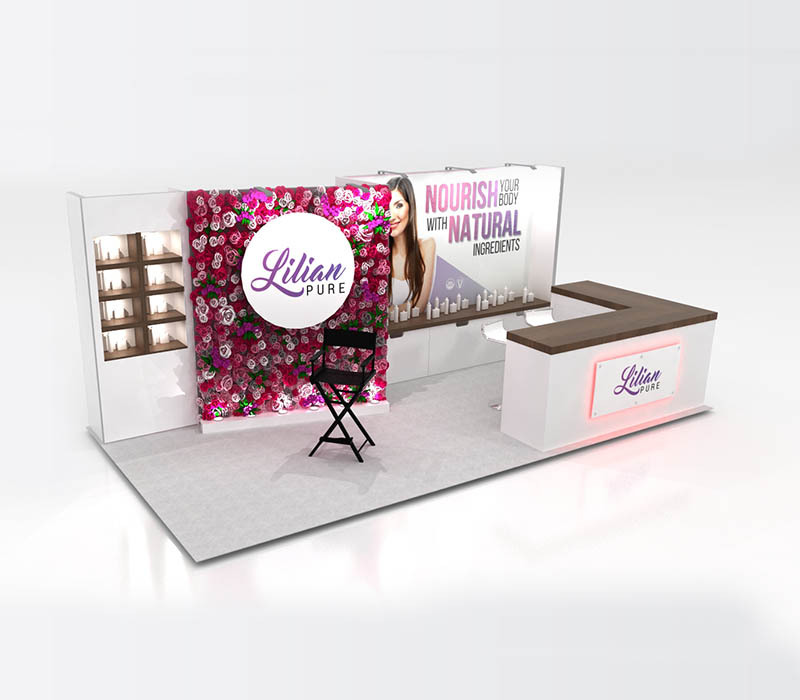 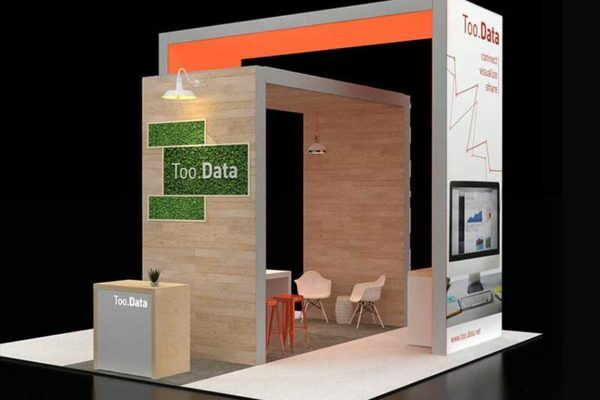 The printed wood accents and custom flower back wall help make this booth stand out on any trade show floor. 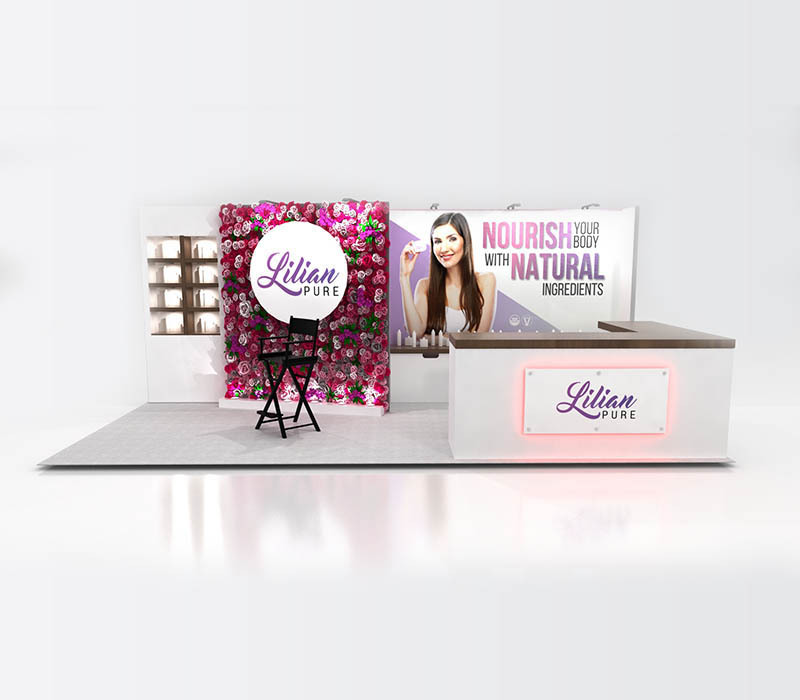 The flower back wall creates a fun photo op for potential clients and eye-catching branding for your booth. 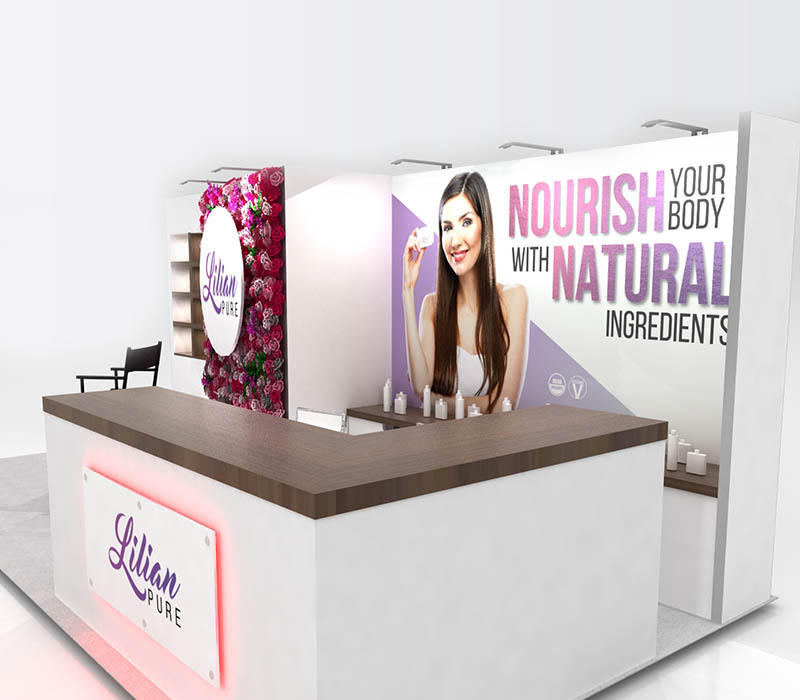 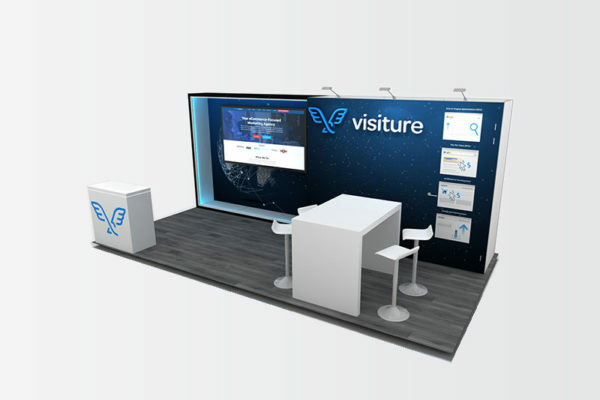 This inline booth has plenty of storage and display areas for your products. 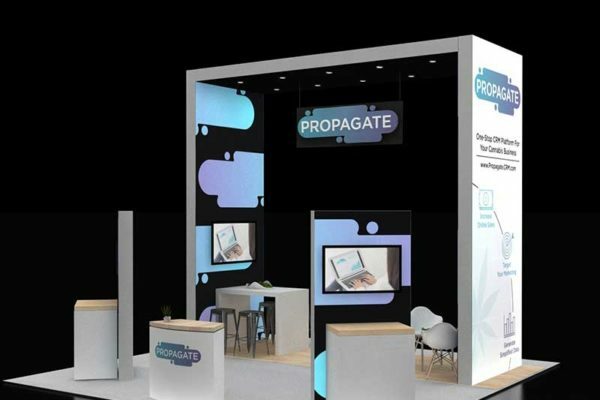 All elements including lighting, flooring, branding, logos, and colors can be changed to fit your company's unique style.